Apple and Samsung made a surprise on Tuesday when they released a joint statement saying they're dropping all of their patent infringement lawsuits against each other outside of the United States. Their unified decision doesn't, however, mean their ongoing fight over mobile device patents is coming to an end. Apple and Samsung dropped their international patent fights, but aren't giving up in the U.S.
Apple and Samsung have agreed to drop all litigation between the two companies outside the United States. This agreement does not involve any licensing arrangements, and the companies are continuing to pursue the existing cases in U.S. courts. In other words, don't expect the legal fighting in the U.S. to end any time soon. The agreement does, however, bring an end to the legal fights in the U.K., France, Germany, Italy, Australia, Netherlands, Japan, and South Korea, which is a start. Apple and Samsung have been fighting in courts around the world over claims they are infringing on each other's mobile device patents. Apple has been claiming Samsung stole its iPhone and iPad designs, while Samsung claimed Apple's devices use its mobile communication patents without licensing. 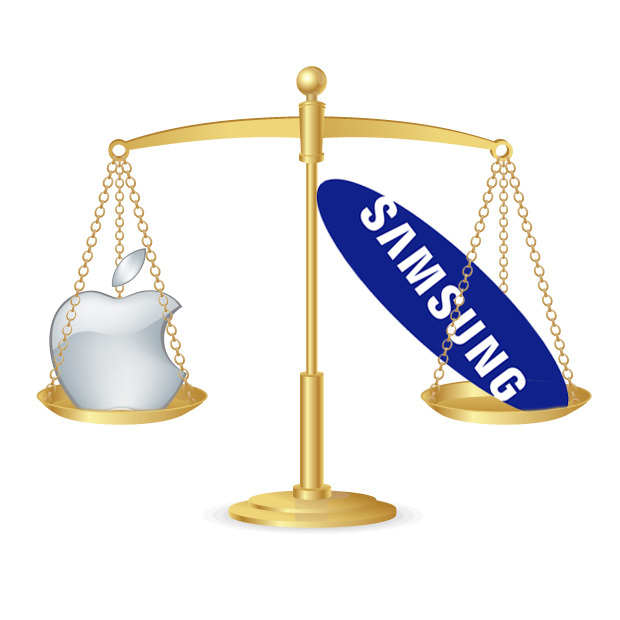 Samsung has won a few minor battles along the way, but Apple has the bigger wins under its belt. Despite their various court room victories, neither side has been able to gain any significant headway on their multi-year fight. Instead of kissing and making up, the two companies are more likely looking at where their legal dollars will get them the most bang for their buck, and that's the United States. The companies have been trimming down their legal fights in the U.S., too, with a joint agreement to drop ITC-related appeals. Apple also agreed to drop an appeal it was seeking to overturn Judge Lucy Koh's refusal to impose a sales ban on older Samsung Android-based smartphones. All friendly gestures, but more likely intended to let both sides work on a more focused strategy as they move forward with their current cases. The most recent U.S. win went to Apple in May when a Federal Jury found Samsung infringed on two of the company's patents, and they also found that Apple infringed on a Samsung patent. The rulings are being appealed. Apple's claims that Samsung has been infringing on iPhone and iPad-related patents with its Android-based smartphones and tablets sits at the heart of the ongoing fight, and at one point Steve Jobs said he was willing to spend every dollar Apple has to stop Google's Android platform because he saw it as a blatant rip off of iOS. Mr. Jobs no longer runs Apple and has since passed away, leaving the company in Tim Cook's hands, and Mr. Cook doesn't seem hell-bent on courtroom fights. While Mr. Cook seems to be more open to negotiating, that may not be enough to bring an end to the legal battles with Samsung. Apple has to defend its brands and patents or face losing control over them, and Samsung's pattern says the company would rather copy and litigate than work out deals in advance. Mix all those pieces together and you have a perfect recipe for ongoing court fights. Both sides know their fight isn't ending, but they also know they can make their courtroom dance more efficient, and that's what's behind their new streamlined strategy: Pick one battle ground, and don't give up.